Billy Herman with an interesting web and cut out pocket. 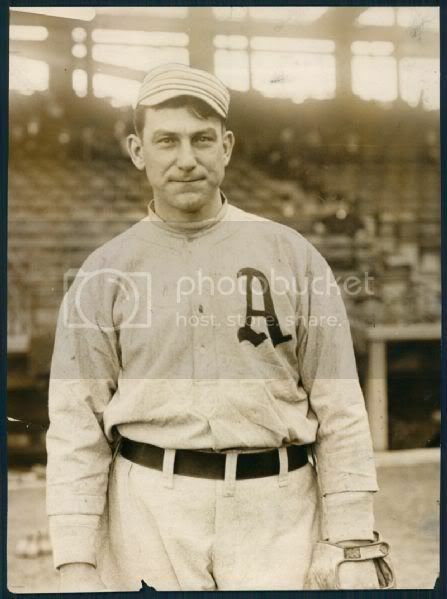 Nap Lajoie with a Reach? Jimmy Sheckard with a strap connected fingers model. Brooklyn player who cut that pesky sewn web off. The "I see tags but what are they?" group. I posted this one before, but it's my favorite glove photo so here it is again. 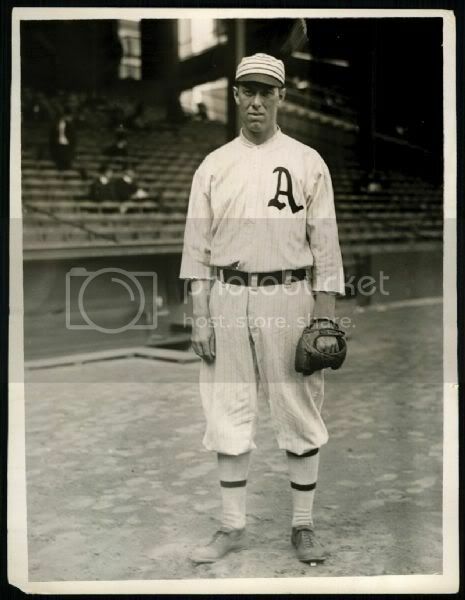 Charles Conlon's photo of Babe Adams and his Ken-Wel. How amazing would it have been if he'd done a whole series of these?! 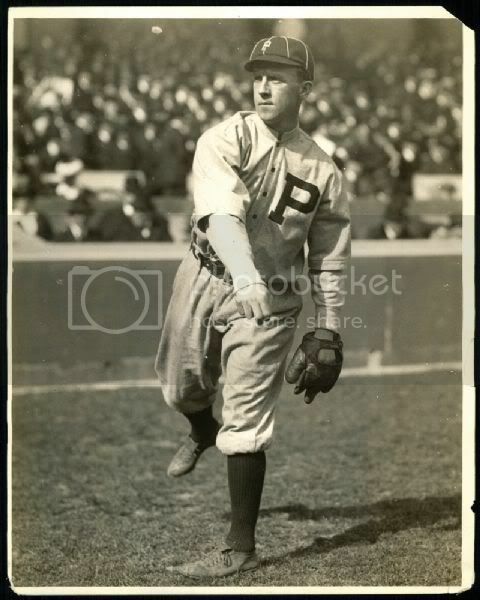 I take it that those Conlon photos are not from the baseball card series. I have a set of those around here somewhere. I'm not much of a card guy, but picked up a set on the cheap just because I like looking at the old ballplayers and seeing shots of the guys whose endorsements appear on so many of the gloves I collect. Can't really remember any specific shots of gloves. Maybe it's worth another look through those to see if there are any. 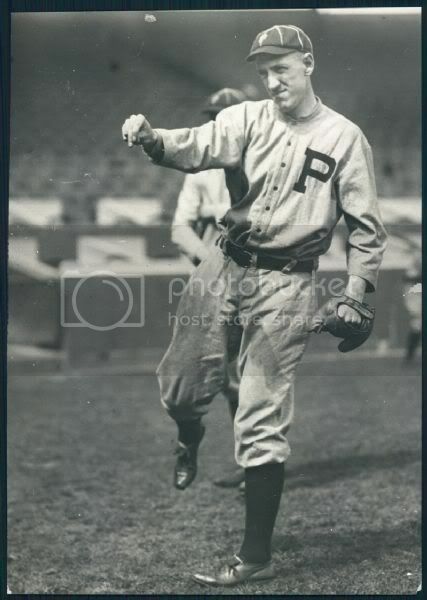 The Nap Lajoie glove tag looks like Wilson with the inverted "W"
Those look like the gloves alright, Mike. Thanks for posting them. Also thought of another strap connected one (another "Heinie" in fact), Goldsmith's Heinie Groh. I found the photos in Legendary Auction's archive. I'm sure that some of them were used for the Conlon cards back in the 90's. one of my favorite pictures is this one of Bill Lee. I own an endorsed model similar to the one he is wearing. Neat photo, Mike. 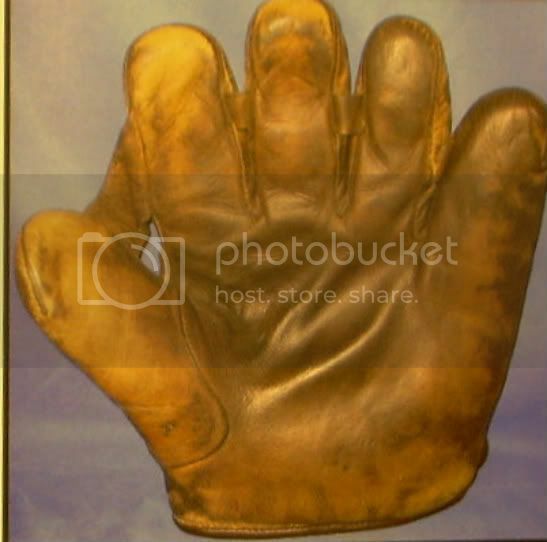 Finding a good one of a glove that I have the same or similar model of is always a thrill. It really helps if the glove has a unique web or wrist closure, etc. because close-ups of the tags or stampings are beyond scarce. One of my favorite features of TGC was Joe's pictures of the players and the gloves they used. I picked up a King Patent thru a trade with RBD and a Spalding Giant from Richie, so now I have to find pictures of players using those. Getting my magnifying glass to study Mr. Lee's buckle back. Hmm....could it be a Giant? 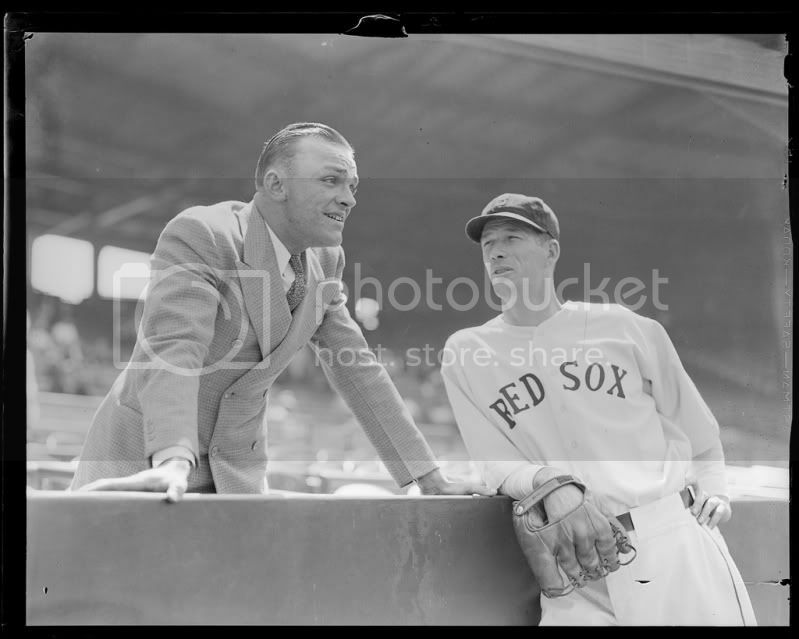 Awhile back Joe posted a link to a ton of photos that the Boston Public Library released to the web. There are some very cool shots of the gloves and I finally figured out how to download them. 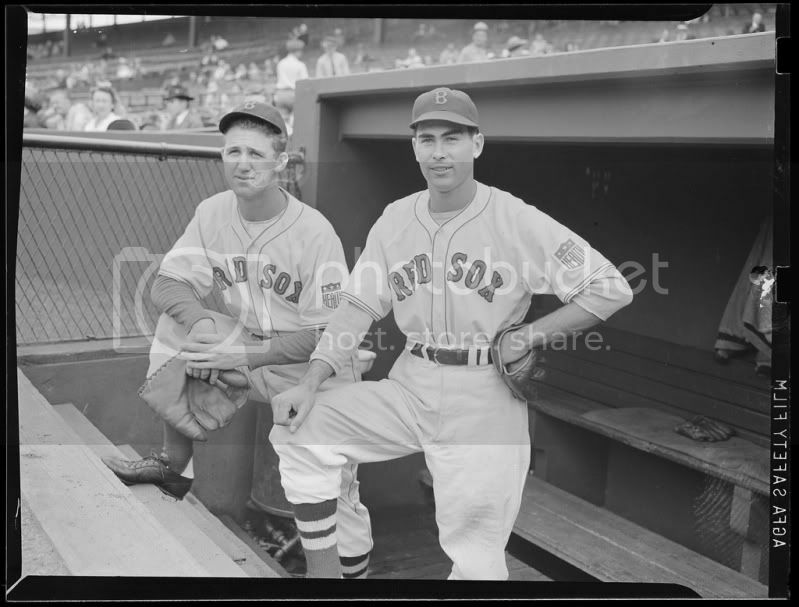 Lefty Grove with Tom Yawkey. Joe Dobson with an odd connected fingers model. That glove looks huge! Earl Averill with an interesting web. 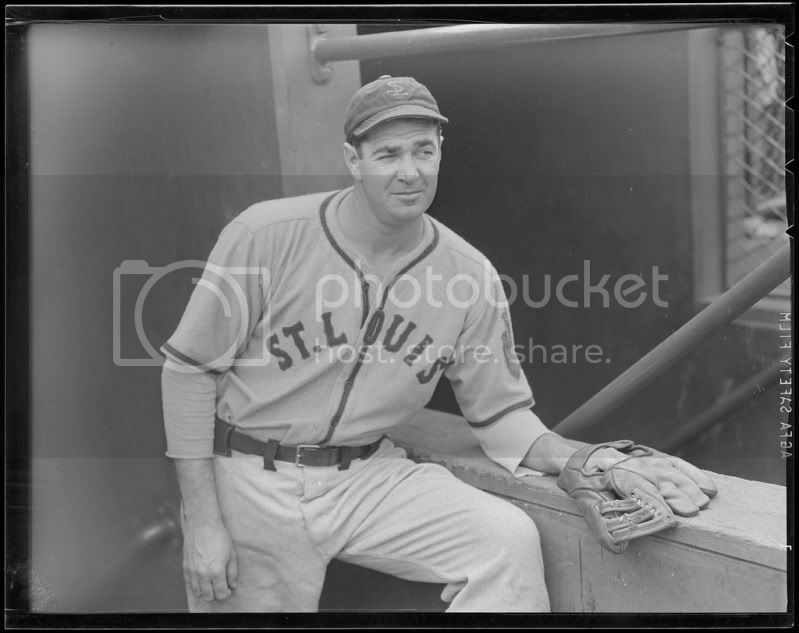 St. Louis player with what looks to be a Rainey Trap. Boston player with another interesting web. 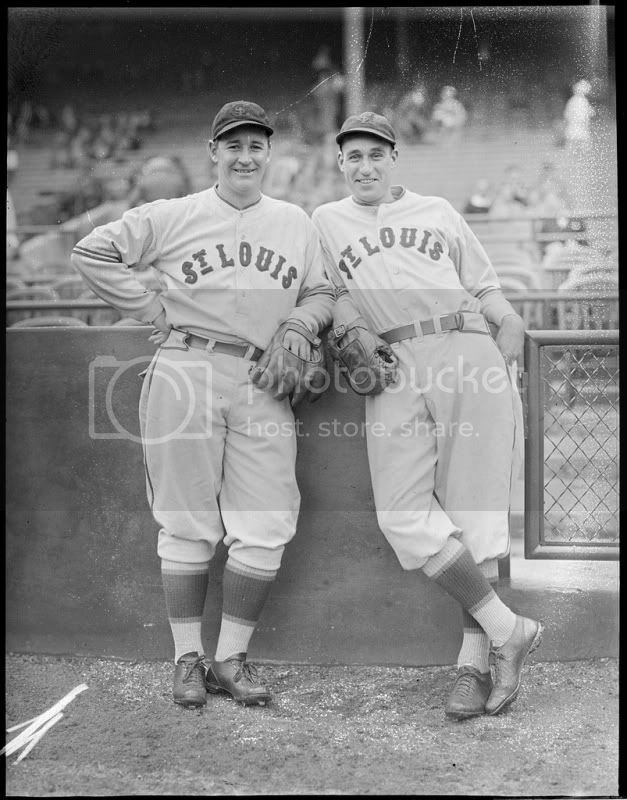 Wes Ferrell and his brother. Giants player with reinforced web and a Red Sox with the same type. Braves player with a 3-finger. those are great photos. I like the white trainer's tape used by some of the players to wrap their webs. The Joe Dobson glove may be a Rawling's three finger model with the first and second finger combined. Kind of wierd looking with all the other fat pinky models out there. Very cool Greg. The Averill glove almost looks like he reversed the tunnel webs. Like he took them out and flipped them. Yeah, it looks like they modified the webs to their liking. Here are a couple more. 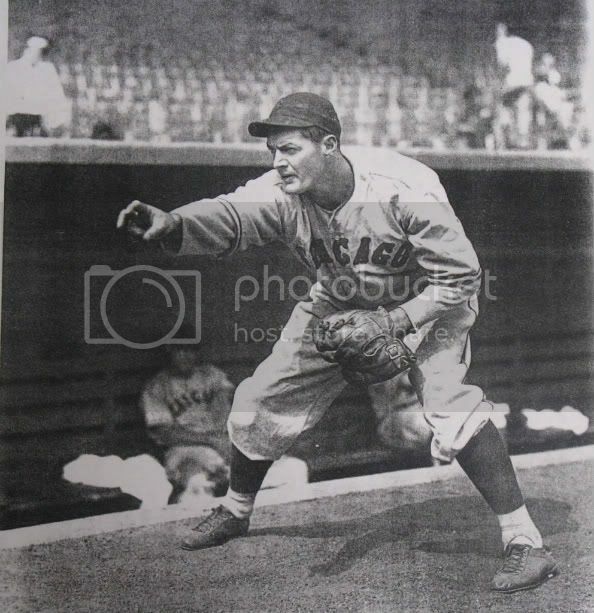 Check out the web on Red Ruffing's glove. It looks way ahead of its time. I came across this very cool old Reach ad that shows Lefty Grove's gamer from the 1930 season. 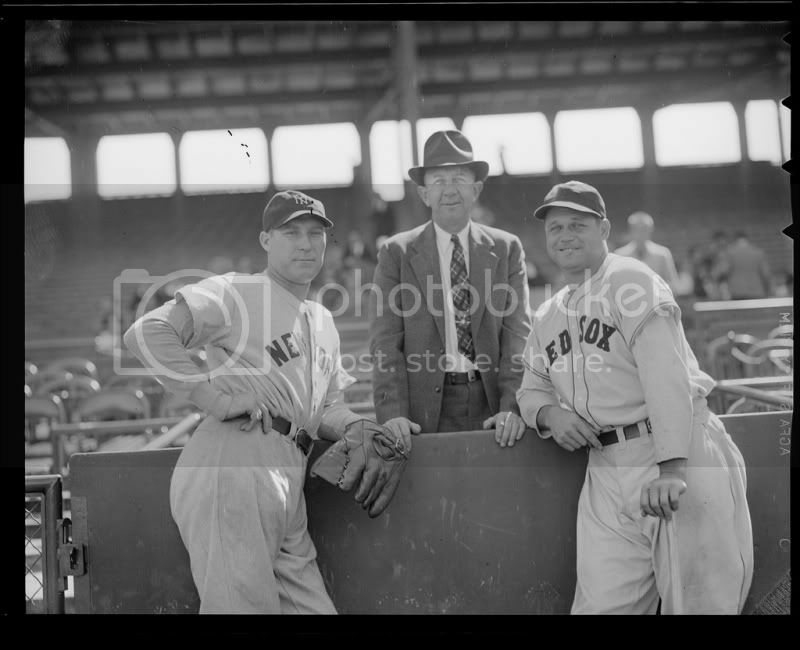 It has the same unique lacing as the one he's wearing in the above photo of him with Tom Yawkey from 1935. I'm guessing it's the same model, which solves half of the mystery for me. I know the maker now, but still don't know which model it is. 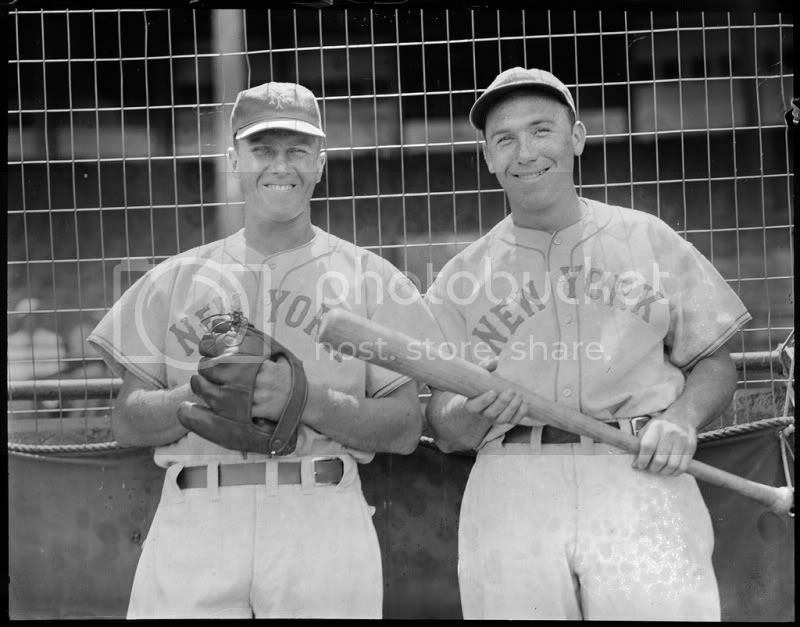 This area too is one of my favorites in that we can see (thanks to vintage photos and the timing is right) what the players were wearing. 1. 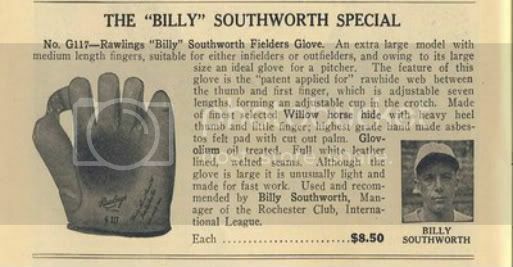 I had the opportunity to see purported game gloves of "Lefty" Grove and Billy Southworth that were up for auction. I knew immediately what to look for in Grove's model because I had a couple of Reach ads on Grove with the Vance- type lacing Reach glove. (He had given the glove to his yard man in payment). 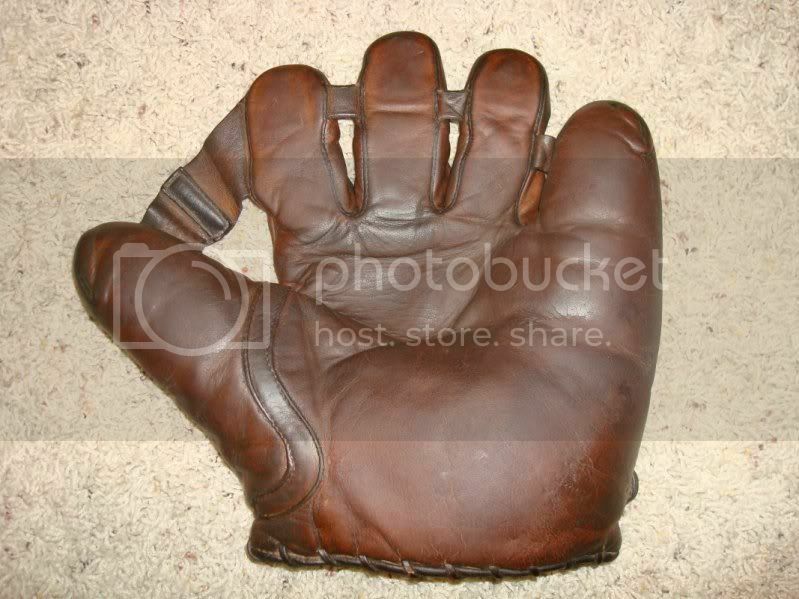 The Southworth glove was claimed by family member to be a Bill Doak glove. Only, it wasn't, it was a Rawlings Southworth Model with the adjustable web (holes in the web where you could secure it tighter or looser. Best image comparison, in color, I ever saw was on a Grove glove sold by Hunt's, with an almost perfectly matching picture to glove. Best shot on the Rainey trap is the great artwork closeup of Ival "Goody" Goodman reaching to the heavens for a fly ball with the Rainey most prominent in the painting. I sent a copy of this to Stockbuddy for his displays of his Rainey webs. On the Averill glove I cannot determine if we're seeing (a. lacings only, or: ( b. tunnels with out seam sewing. Now there were a number of cross hatch laced gloves used in the 1930s and recall having a "Red" Lucas where it appeared there was never any tunnels used. 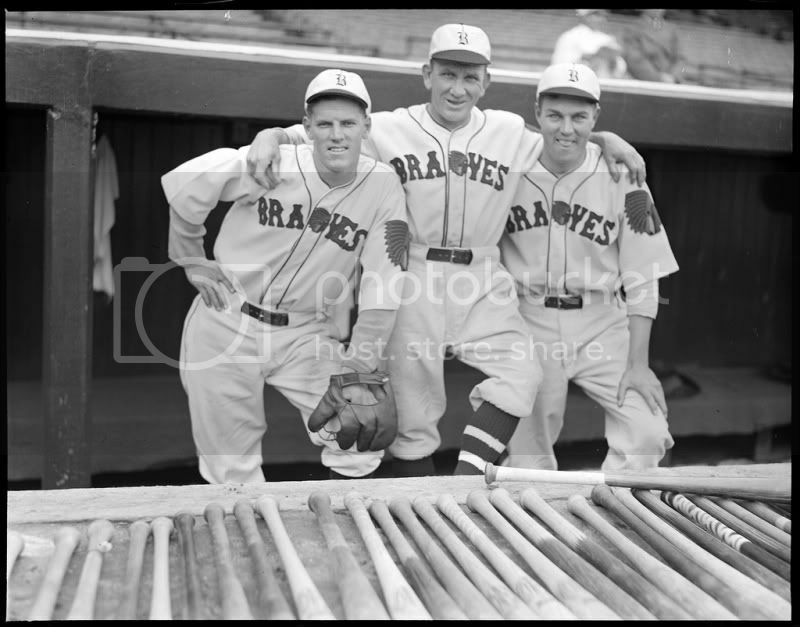 Cutting a hole in the glove seemed to be a "catchy" theme among infielders of the 1930s: Durocher, Bartell, Herman and I'm sure many others were following the old Wagner-Maranville-Wallace tradition of removing the outer leather for a better "feel" of the ball. 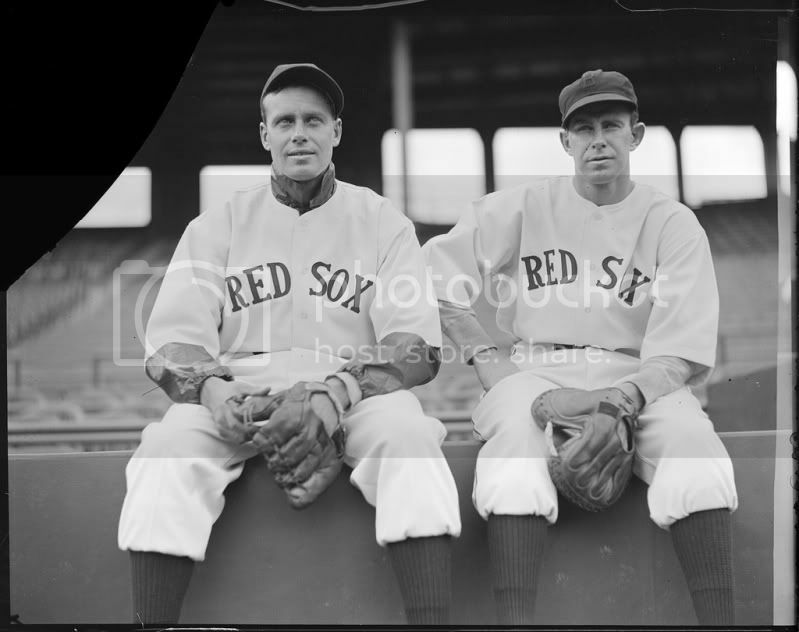 Another you will notice in the late 1930s photos are that players would use white bandage tape to wrap around their two-tunnel gloves, creating a larger and solid pocket and this may have led to the full or barrel web coming out in the very early 1940s. 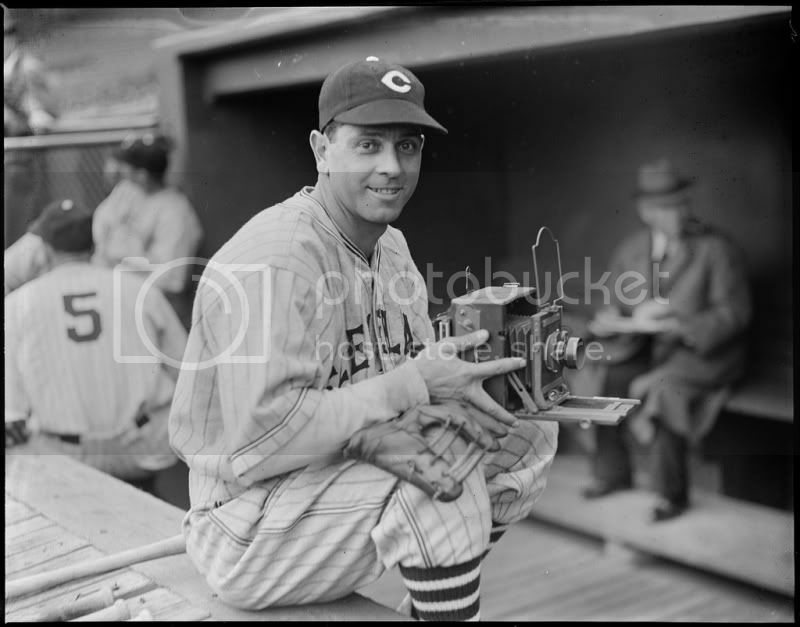 Yes, if you have that Conlon set of black & white photo card, go through it and take in the glove pictures. 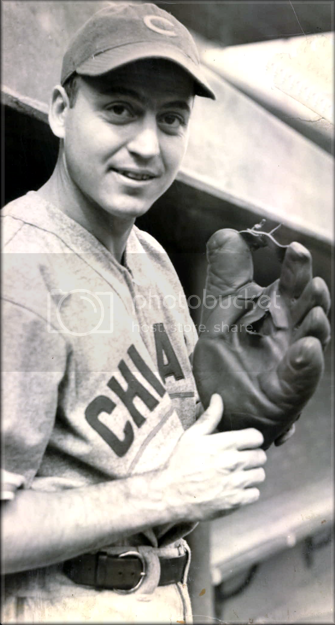 Still, one of my favorites is the shot we ran in the newsletter of Lefty Gomez glove that appeared to have on finger tunnels from the back, like the glove was encased like a base mitt, it was a two or three-finger style. Many of you will recall it. Thanks for your insights, Joe. You get all the credit (or blame ) for me posting these pictures. One of my favorite features of your newsletter was the pictures of the gloves that the pro's from back then used. When I saw that many of the stars I followed as a kid (Mantle, Mays, Spahn, etc.) used a Rawlings HH, I had to get one. 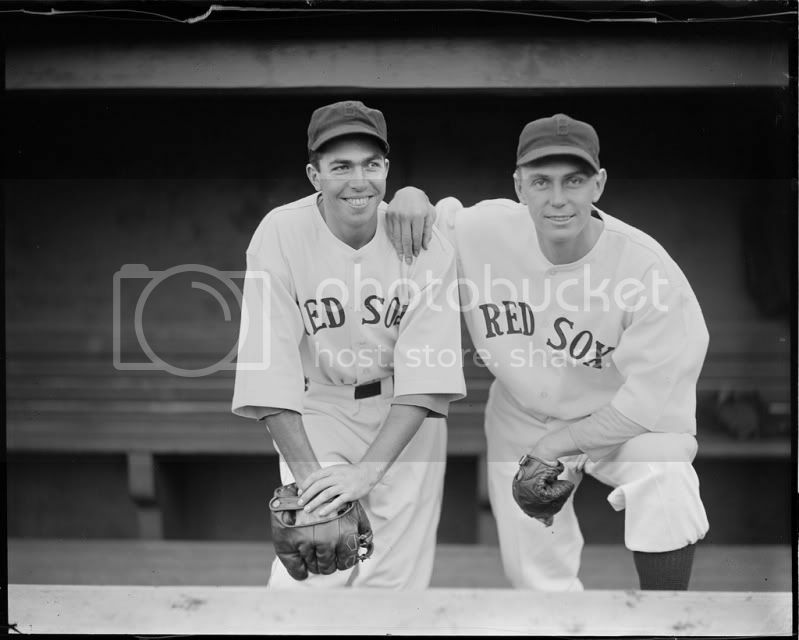 Since then, when I've been lucky enough to pick up a top line glove, I've looked for photos of a major leaguer with one. It's always a thrill to find one, because they definitely didn't pose the pictures to feature the glove. So many of them are frustratingly close to revealing who the maker was, but in the end it's usually just a guess on my part. It's really a rarity to find a decent photo of the front as well as the back. And so many of the gloves had the same features but were made by different labels. It is exciting to find one of a player with the same glove as your favorite model or brand, especially if it's one that's not really thought of as being used by the pro's. 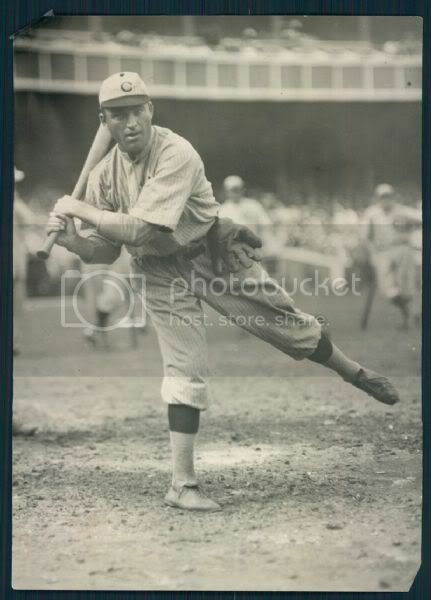 One of my favorites is Ki Ki Cuyler wearing a Dubow. I'd bet that Brett would be happy to find one featuring an OK/Sonnett, and I'm still looking for a good shot of a player with a Dazzy Vance. I'll take the blame Greg but for me too, this has been a fascinating aspect of our hobby. Since I saw that cut out pocket of the Wagner glove in a Beckett Magazine, this has been a fun trend to follow. 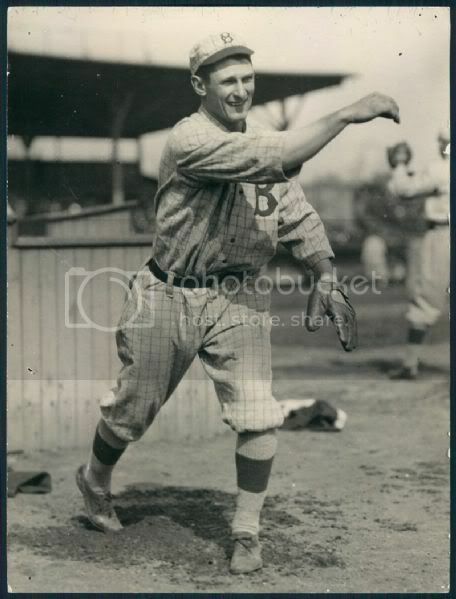 The further one goes back, I believe, the harder it is to tell what glove the player is using from photographs. The Vance styles like the Grove and Goldsmith Modelo on the double laces, could be confusing, unless you see the glove us pretty close. 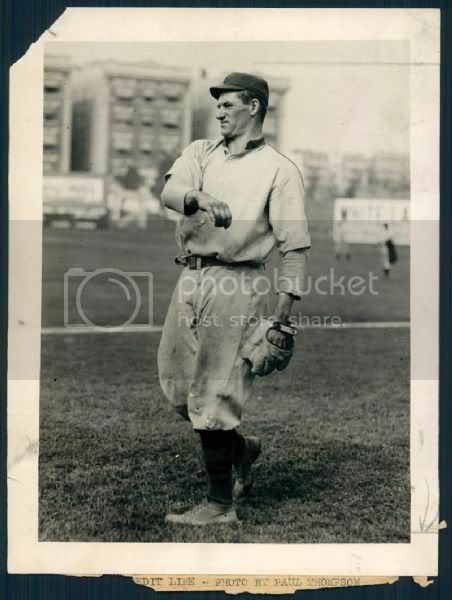 I love to find the pictures of the rolled lace web gloves and have seen them on everyone from Joe D., to Bob Lemon, Red Schoendienst, Larry Doby etc. etc. My favorite stories of this glove is that my local glove collector friend, Parker Apperson, bought a rolled lace web Rawlings, reportedly used by Eddie Yost, off eBay for only $70. And the famous Tommy Henrich glove that circulated from ebay to one of our collectors to Dave Bushing who tracked down Henrich and bought the $350K Joe DiMaggio streak bat from him. 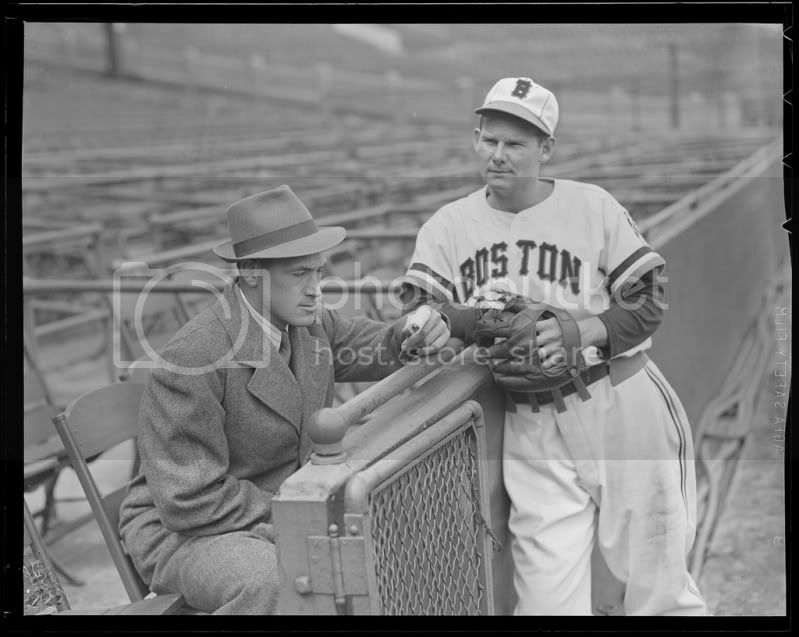 And then the rolled lace web glove Al Gionfrido used to rob Joe DiMaggio of the extra base hit in the 1947 World Series. And remember the poll Rawlings took during the 1950s when it showed about 80% of the major leaguers were using Rawlings gloves. 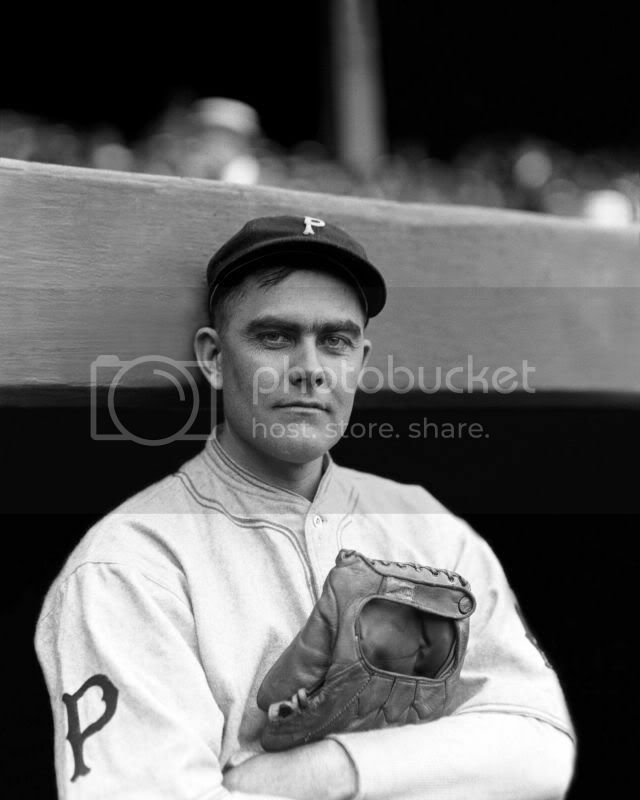 I would suspect that the earlier players, '20s, '30s were using their endorsed brand's top line gloves, and often maybe like their endorsed glove if it was sold for retail. Anyway, a delightful and enlightening subject.